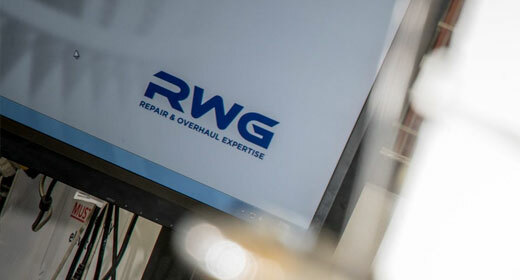 Here at RWG, we’re all about helping you enhance the service life of your gas generator equipment. And in the field, our routine maintenance solutions do just that. We bring together the latest OEM standards with our own extensive knowledge and experience, and offer a broad range of routine maintenance services to the global power generation, oil & gas and marine industries. You can trust us to look after your generator and associated equipment on-site. Any scheduled maintenance interval is unique to a gas generator’s type and operating regime. And when it comes to SGT-A35 (Industrial RB211), SGT-A05 (Industrial 501), SGT-A05 (Industrial 501) and Olympus gas generators, we are experienced with all makes and models. Our routine maintenance schedules always include an external visual inspection and detailed internal inspection. We use the latest video borescope technology to provide clear and concise results, which can be easily interpreted to demonstrate compliance with the required OEM inspection standards. It’s common for preventative maintenance to be required during a scheduled inspection. Maybe a seal needs to be replaced, or the operation of ancillary equipment needs to be checked. These occurrences can further prolong in-service performance and integrity. We can advise you on the requirement for each activity, and perform the work when it’s convenient to your operations. We’ll have all necessary spare parts available at the time of inspection, and expedite contingency spares in the event of unforeseen findings to get your equipment back up and running promptly. Is your equipment returning to production following a period of inactivity? Do you require a health check to be performed on a gas generator that’s in storage? Do you have a bespoke inspection requirement to assess the serviceability of on-site equipment? Then talk to RWG. We’ll work with you to determine the most effective way to carry out a one-off inspection on your equipment.